A recent survey has stated that as many as 40 percent of children in aged from 11 to 18 have experienced bullying behavior online, and although that figure may not seem so high, it is expected to rise, especially as there are more ways than ever before for children to communicate via the internet. In this article we will be taking a closer look at cyberbullying and why it has become such an emotive issue. Prior to the internet, smartphones and tablet PCs, a child who was suffering from bullying knew that they would get a period of respite when they were at home or on vacation. However, with modern technology making communication so much easier, bullies can use these methods to relentlessly pursue their victims round the clock. Being cruel to someone in person is one thing, but doing it via the internet is something else, as it is far easier to be cruel to a person when you do not have to look them in the face. With being bullied in person, it is a lot easier to identify the offender, whereas cyber bullying can be done from thousands of miles away by someone that is completely anonymous. This means that it can be very difficult to track down the cyber bully, especially if they are from a totally different country to your own. 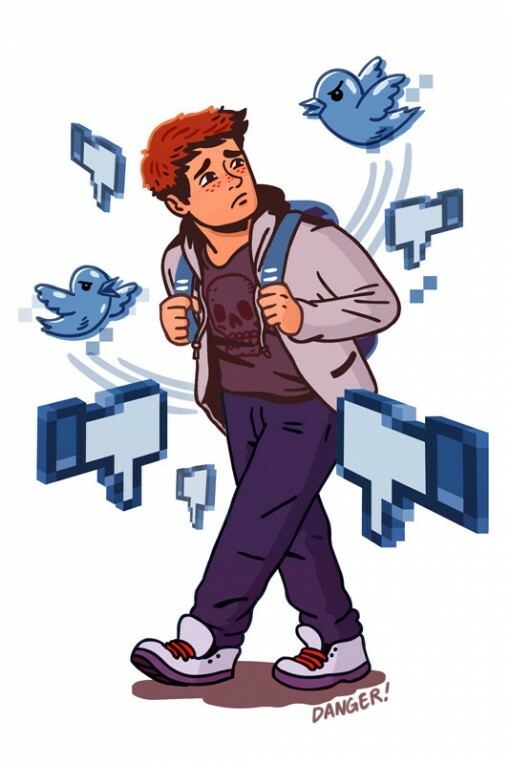 Most physical bullying could be witnessed by only a small number of people, however, being bullied online leaves the victim, open to having their discomfort broadcast to millions of people across the world. Compromising photos, bullying status updates, embarrassing video clips and nasty messages can be broadcast and shared amongst countless individuals, and a lot of harm can be done to the victim by the simple pressing of a computer mouse button. Because of the way that modern technology works, it is hard for things said and done on the web, to be erased, and there are always going to be a way in which somebody can track down all of those embarrassing photos, videos and social networking posts, and they can be forwarded all over again, and even resurface years later. If you think that your child is being cyber bullied online, then there are a number of ways in which you can find out. Asking your child is one way, however, they may be too embarrassed to tell you the truth. Due to this problem, a number of parents are now using mobile spies in order to gather the evidence they need in which to put a stop to the cyber bullying. Cell phone spying apps will allow you to gain access to a lot of information regarding things such as SMS messages, emails, photos and videos sent, apps downloaded and the browser history of the device, giving you a heads up with regards to the possibility of your child being a victim of cyber bullying.